THANK YOU! I haven't been an archer since college...too long ago to calculate...but truly enjoyed it. I'd forgotten more than I remembered and really appreciate the informative website that you've created. Looking forward to shooting again, thanks to you! 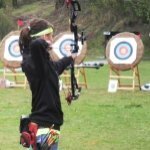 Our purpose and goal is to deliver clear and concise information that helps inexperienced and novice archers to become quickly familiar with the basic concepts of archery including proper equipment selection, fundamental shooting technique and proper execution. 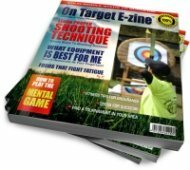 Please stay in touch and watch for more helpful information either by signing up for our RSS feed or newsletter that will make your archery experience educational, exciting and most of all...fun.